Sunny summer days are right around the corner, and it is only natural that you’re already giving some thought to your vacation plans. This year, North Coast’s beautiful Sahel will be waiting for you for at least 3 months of uninterrupted seaside goodness, especially with the end of Ramadan falling on the beginning of June. Needless to say; by making a wise choice regarding your destination, you’ll be signing up for much more than just one good season, having the perfect retreat at your service whenever you need a break from the hustle and bustle of the big city. However, these choices can come with a good amount of frustration for future homeowners. If you don’t know where to start your search, feel lost among many seemingly fitting alternatives, or have trouble deciding on the financial arrangements, hang in there! Cooing is here to help you identify your specific needs in real estate and list down your options accordingly. 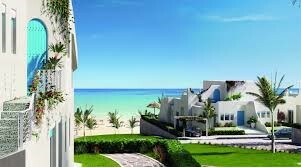 In the past, the idea of owning a property in Sahel was synonymous with mainly Marina and Hacienda. But times have changed, and even though these resorts are still going strong, a number of amazing new compounds have been added to the Sahel repertoire, enabling prospects to make up their minds depending on a wide range of variables such as location, facilities and prices. The first decision you want to make as a potential buyer is whether you’re looking for a resale property in one of the established resorts, or a new sale in a recent project. Keep in mind that resale is not necessarily more budget friendly—if you don’t have specific preferences as to which resort to buy from, it can be a good idea to keep an eye out for new sales that can provide you with similar facilities within the same budget, though the locations might differ. The second question to take into consideration is the unit type that would suit you best. If you’re planning to spend big family holidays in your new summer destination, a townhouse or a villa would be perfect for you. If you’re passionate about gardening or you want to travel with your pet, but are on a tighter budget, then you can go for a ground-level chalet. A luxurious apartment, on the other hand, can be just the thing you need for a modern, all-year destination and a good alternative for investment purposes. Once you’ve taken the first steps and decided on the basics, you can weigh out your options according to those preferences. North Edge New Alamein gives a whole new perspective on the North Coast real estate market; City Edge Developments has built, in collaboration with New Urban Communities Authority and the Housing and Development Bank, a high-end self-sustainable city with schools, universities, hospitals, commercial areas and an international marina. The fully-finished, 40-storey North Edge Towers, the first of its kind in the entire North Coast area, are set out to bring the contemporary apartment lifestyle straight to the shores of Sahel. 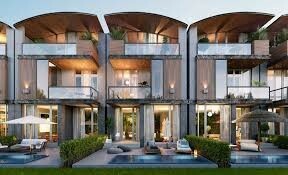 Another great option to look into if you’re interested in apartments is the newly launched South Apartments in Hyde Park’s Coast 82 project. Coast 82 is built on different levels for optimal scenery and it comes with a variety of available unit types, making it ideal for anyone who wishes to own a reasonably priced property in the natural beauty of Sahel, away from its beaten tracks. 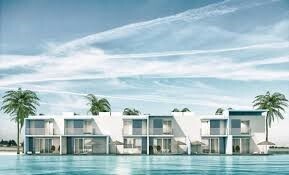 The project features crystal lagoons and a full-fledged hotel whose amenities are open for residents to enjoy. With its attractive payment plan, Pali North Coast can also appeal to those who prefer smaller spaces. It offers cozy studios in addition to competitively priced chalets and houses. Homeowners can participate in Pali’s signature outdoor activities like stargazing, zip lining, or water activities in the amusement river. Apartment living may not necessarily be your thing; maybe a townhouse or a stand-alone villa is what you’ve set your heart on for you and your family. In that case, an established resort like Marassi can cater to your demands, especially upon proving to be so fruitful for its investors year after year. Even though its prices are high, it hosts one of the best beaches in the North Coast, and offers its residents many renowned facilities like hotels, various venues and an international marina. Another advantage of choosing Marassi as your destination is its trusted developer Emaar, which boasts a reputation as one of the world’s biggest and most dynamic property developers. Speaking of esteemed property development companies, recent projects by Tatweer Misr and Inertia rank high on our Sahel destinations list as well. 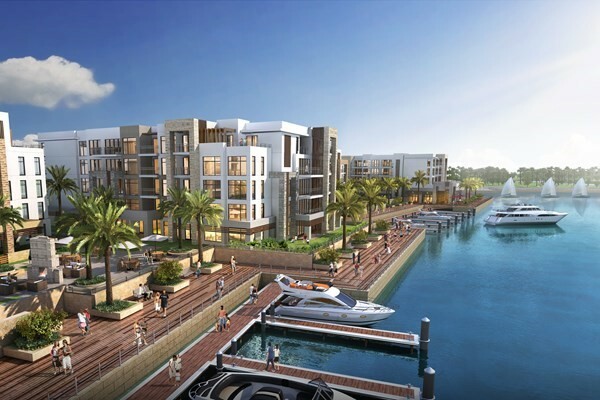 Fouka Bay by Tatweer Misr stands out with its lavish units, whose delivery will start this summer. In addition to its natural beauty adorned with lagoons and a wonderful beach, Fouka Bay enjoys a great location, easily accessible through the new Fouka Road. The 2-year serviced apartments located in the compound’s hotel can be a relief to those who are not ready to commit to the rather pricey townhouses and chalets. Jefaira by Inertia, on the other hand, features some of the best value for money options in Sahel. 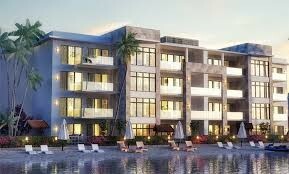 It’s built on 1500 acres of land with sports clubs, three hotels, an international school, a university and a marina. 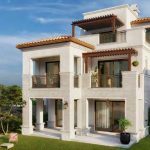 Presenting a fully integrated town right by the side of a long beach stretching across the open sea and various bays, Jefaira offers a wide range of chalets, houses and villas with very competitive prices per square meter. The distinguished El Abd Resort has also introduced an exclusive new phase in Bay 7 by the pristine beaches of the Sidi Heneish bay. It is a low-density compound targeting a very select audience, with its limited number of villas comprising three to seven rooms. 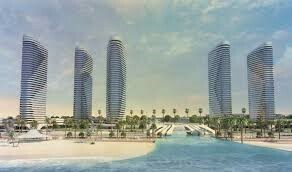 All units are designed to overlook amazing views of the sea and swimming pools. One of the oldest developers in Egypt with more than thirty years of experience in the area, El Abd perfectly accommodates the needs of those who’d like to be part of an elegant community. Some resorts in Sahel are fashioned to have that nostalgic, cozy summer feeling, while some aim higher to serve as a year-long destination to their residents. No matter which style attracts you more, you never have to worry about the scale of amenities these projects have to offer, as they are all fully finished compounds designed to provide you with the best of the best. If questions linger in your mind though, you can always #AskCooing for some expert advice. And even if your budget doesn’t allow for a purchase just yet, do stay tuned for our upcoming services in rental options as well!